1.) Bekah got a brand new toy! 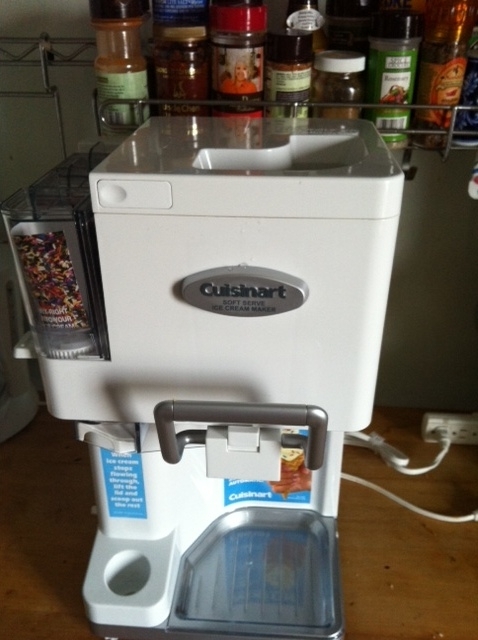 It’s a new Cuisinart Icecream, Sorbet and SoftServe Maker! 2.) My dad’s garden produced some nice blackberries and mint. All I needed were a couple lemons and sweet inspiration. 3.) My mother’s birthday. I wanted to make a little something from scratch so I got my ingrediants together and went at it. Stir sugar and 1 cup water in small saucepan. Bring to boil over high heat, stirring until sugar dissolves. Boil 1 minute. 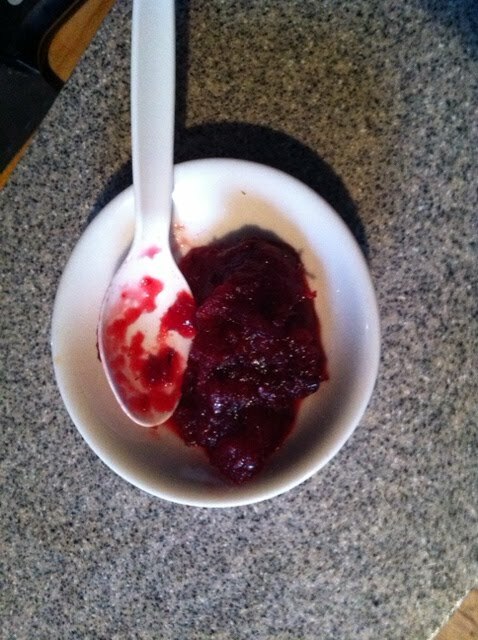 Transfer syrup to large bowl. Chill until syrup is cold, about 3 hours. 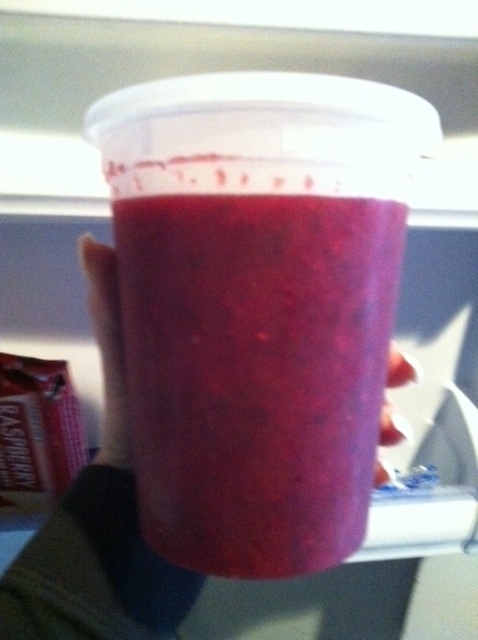 Working in batches, puree blackberries with juices and cold syrup in blender until smooth. Strain into another large bowl; discard seeds. Add finely chopped mint and stir in lemon juice.